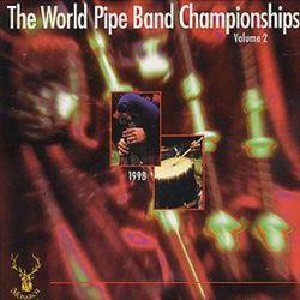 World Pipe Band Championships 1998 - Vol 2, The Scottish Music Shop - The Best Selection of Scottish CDs and Scottish DVDs. Live recordings of the Top Pipe Bands from the 1998 World Pipe Band Championships. Boghall & Bathgate Caledonia, Scottish Power, New Zealand Police, Royal Ulster Constabulary, MacNaughtons Vale Of Atholl, Peel Regional Police, David Urquhart Pipes & Drums and St. Laurence O'Toole.